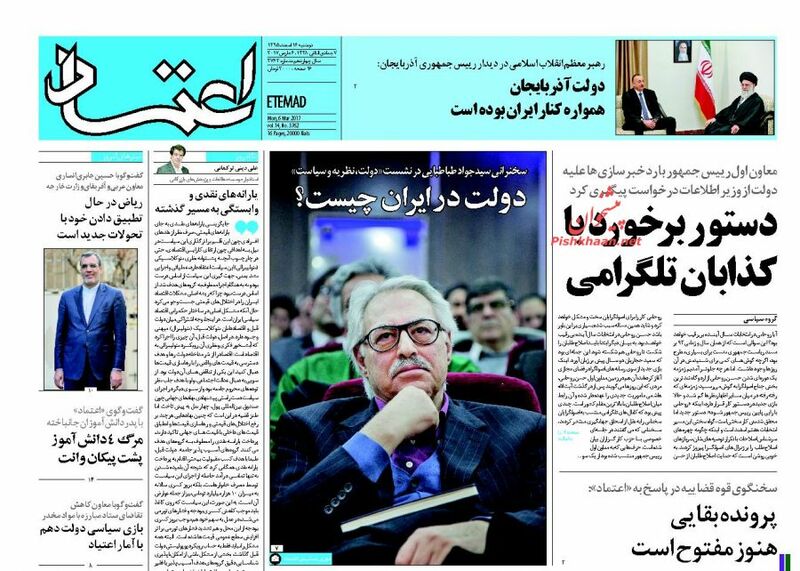 IFP has taken a look at the front pages of Iranian newspapers on Monday and picked headlines from 14 of them. IFP has simply translated the headlines and does not vouch for their accuracy. The top story today was the remarks made by the Leader of Iran’s Islamic Revolution Ayatollah Seyyed Ali Khamenei in a meeting with Azerbaijani President Ilham Aliyev in Tehran. The street fights in California between Trump’s fans and opponents as well as the clash between Trump and Obama also received great coverage today. Among other top stories are the Iran-Saudi deal over the resumption of dispatching pilgrims to Hajj, and the National Arbour Day when several officials talked about the importance of protecting the environment and planting trees.